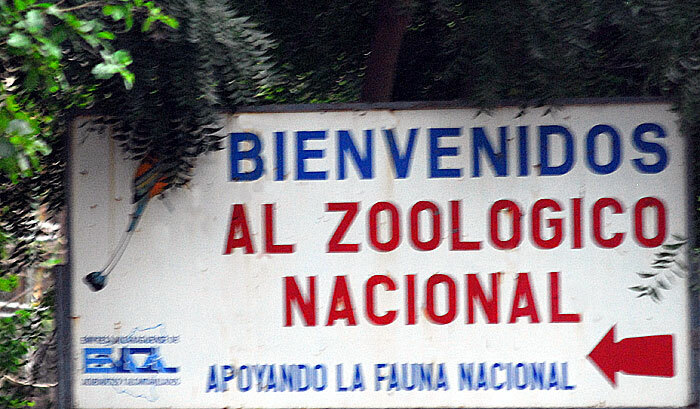 Toucans are near passerine birds from the neotropics. They are brightly marked and have enormous, colorful bills. The family includes six genera and about 40 species. 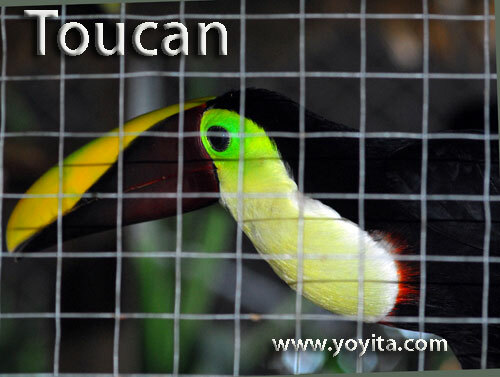 Toucans range in size from 18 to 63 cm (7 to 25 in). Their bodies are short (a bit bigger than a crow's) and thick. The tail is rounded, and varies in length from half the length to the whole length of the body. The neck is short and thick, and at the base of the head is a huge, brightly-colored beak that measures, in some large species, more than half the length of the body. A toucan's tongue is long, narrow, and singularly frayed on each side, adding to its sensitivity as an organ of taste. The legs of a toucan are strong and rather short. Their toes are arranged in pairs with the first and fourth toes turned backward. Males and females are the same color. The feathers in the genus containing the largest toucans are generally black, with touches of white, yellow, and scarlet. The underparts of the araçaris (smaller toucans) are yellow, crossed by one or more black or red bands, and the edges of the beak are saw-toothed. The toucanets have mostly green plumage with blue markings. Toucans are frugivorous (fruit-eating), but will take prey such as insects and small lizards. However, the function of the beak in feeding is not known, since many other birds consume these foods without the giant bill to help them. One likely use is to specialize on prey such as nestlings and bats in treeholes. In this view, the beak allows the bird to reach deep into the treehole to access food unavailable to other birds. They are arboreal and nest in tree holes laying 2–4 white eggs. The young hatch completely naked, without any down. Toucans are resident breeders and do not migrate. Toucans are usually found in pairs or small flocks. The name of this bird group is derived from Tupi tucana, via French.